Invite your kid to invent short silly songs about one thing or one daily activity. Sing it when prompted by the object or situation to encourage attention and memorization. As you will have noticed from experience, our brains usually remember language better when it’s accompanied by music. Have your kid practice his fine motor skills and coordination by doing the finger motions of songs like Itsy Bitsy Spider. Play rhythm games. 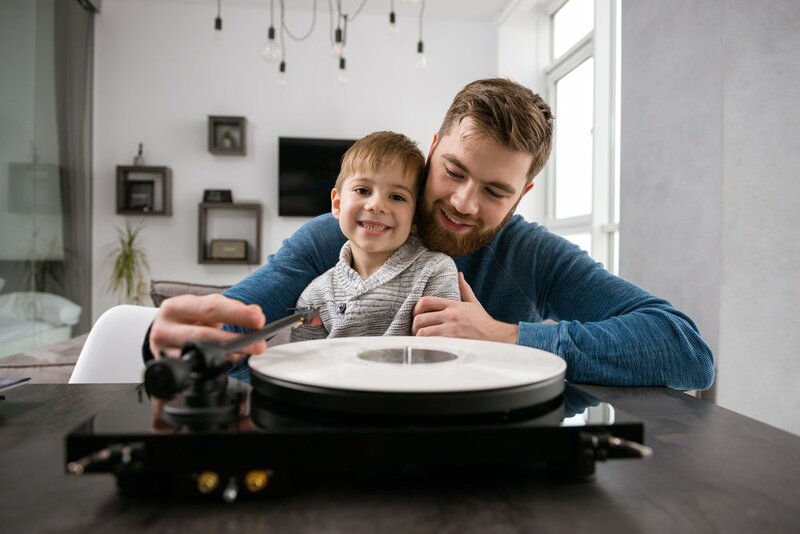 Have your son reproduce the rhythm of a song by tapping on objects he has at hand, like the floor, a box, different surfaces, etc. Have dance sessions. Play different types of music and invite your child to dance to its rhythm. You can model moving to the beat and also encourage describing the song with easy words, like loud, slow, happy, etc. This way, you are helping him perfect the control of his arms, legs, and torso. Help your child connect with his feelings by listening to some classical music. Explore playing some songs that you both enjoy, so you don’t get tired of kid’s music. We recommend The Sound of Music soundtrack, as it’s more complex music while, at the same time, it’s fairly repetitive, uses easily-explained words, and it’s fun to sing-along to.